For this recipe you can use twaróg, curd cheese, cream cheese or yoghurt cheese but it is quite a bit different from my usual Polish baked cheesecake. It is a more a ground almond cake with strawberries on top. 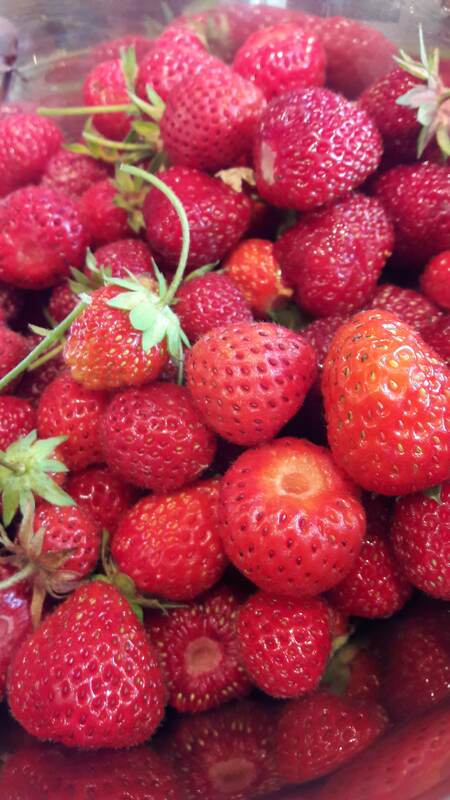 I used the last pickings of strawberries from my garden this summer. 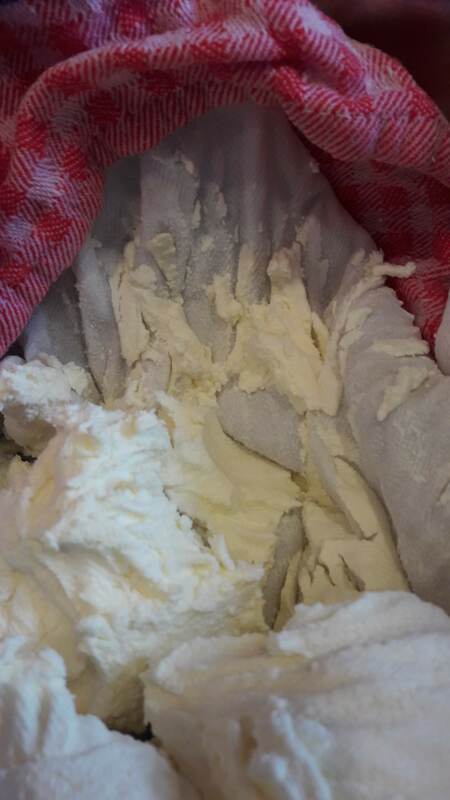 I used my own yoghurt cheese and squeezed it out in a cloth to get rid of as much excess liquid (whey) as possible. 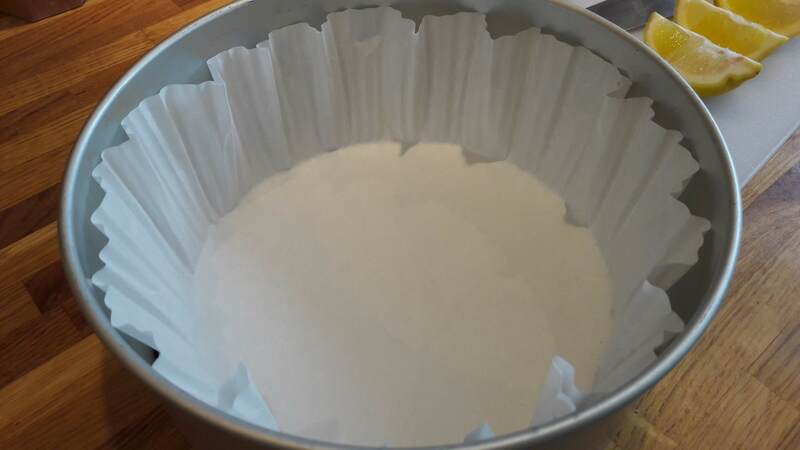 Line a 20cm in diameter loose bottomed cake tin with a bought paper cake liner. Cream the butter and sugar until they are soft and fluffy. Add the egg yolks one by one until you have a smooth mixture. Add the vanilla essence and the salt and mix in. Add the cornflour, ground almonds and the yoghurt cheese and mix together thoroughly. Whisk the egg whites until they are stiff. Fold in the egg whites into the cake mixture. Put the cake mixture into the lined tin. Slice the strawberries and place these on the top and sprinkle them with the sugar. Turn the oven down to GM2 – 150°C and bake for around another 30 minutes. Switch off the oven but leave the cake in there until it is cool. Keep the cake in the refrigerator but bring to room temperature for serving. Served here on tea plates – Las Palmas by Aynsley from the 1960s. More strawberries on to top would have been okay. Other red summer fruits such as raspberries, blackberries or whinberries (bilberries) would also work well. Am on hol away from computer will reply in 2 weeks when I get home. I used this recipe on 5 April 2019 & realised I had left a step out in the instructions (had not mentioned the ground almonds!). So I have edited the instructions & updated the post.